Creating FISH reports that you can count on. 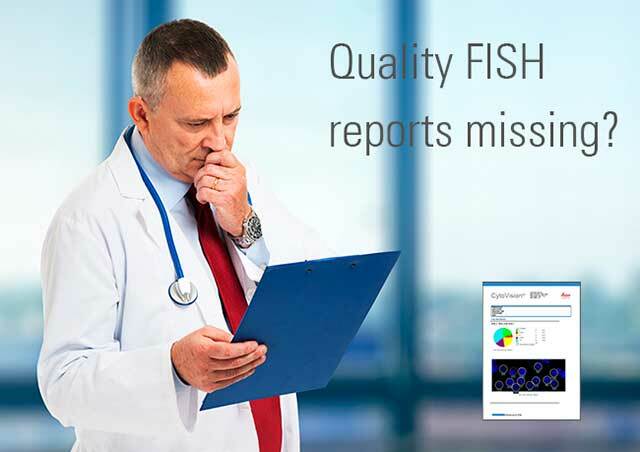 Get high quality FISH images in your clinical reports. multi-channel, multi-plane FISH images with a single click. your purchase of a CytoVision DM5500B capture station! *CytoVision DM5500B FISH Capture Station promotion ends January 31, 2016. Certain products are FDA-cleared and labeled for specific clinical applications. Unless otherwise labeled, all other products are intended to be made commercially available "For Research Use Only. Not for use in diagnostic procedures." For specific product indications and more information please go to: www.LeicaBiosystems.com.Copyright notice: © 2015 Leica Biosystems Imaging, Inc. All Rights Reserved. LEICA and the Leica logo are registered trademarks of Leica Microsystems IR GmbH.